Monica Helmstetter and Lucy Hugo, formerly of Questex Media, have announced the launch of a new event company this week, We Work Well Inc, which they describe as “the next generation of hosted buyer events”. The inaugural We Work Well event will be held 9-12 June, 2019, at The Langham Huntington in Pasadena, California, US, and a second event is planned at The Ritz Carlton Dove Mountain in Arizona, US on 22-25 September. The events are national, with a focus on the US spa market. We Work Well will build on the appointment-based hosted buyer format, with an aim for industry leaders to cultivate business relationships in more meaningful ways while enhancing physical and mental wellbeing. The event also aims to make a more lasting impact. “Our goal is to inspire attendees to take what they have learned from our event and put it into practice in their personal and professional lives,” said Hugo. Helmstetter and Hugo bring more 25 years of spa industry experience to the new venture, with senior roles at Questex Media’s American Spa magazine and Spatec North America, as well as the non-profit group #SpasPushingLimits. Both their experience and industry trends lead them to believe that the wellness industry is ready to rethink the hosted buyer event model. 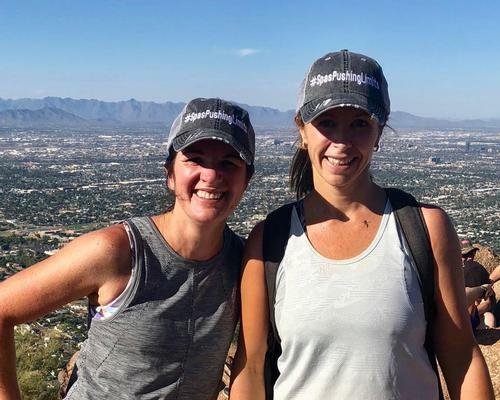 “When I founded #SpasPushingLimits in 2016, I noticed early on that participants were forming a stronger and more authentic connection with each other through shared purpose of physical activity and philanthropy,” said Helmstetter.